The second battle of Ypres took place between April 21 and May 25, 1915. The battle is most remembered for two things. Most horribly, it was the time poison gas was used against enemy combatants. The second was the writing of a poem that became one of the most famous literary results of the war. On May 2, a young Canadian artillery officer, Lt. Alexis Helmer, was killed by a shell while serving in the same unit as his friend, a Canadian military doctor, Major John D. McRae. That evening, with the chaplain of the unit called away, McRae was asked to officiate at a burial service. At some point after that (accounts differ), McRae penned the short poem “In Flanders Fields,” which was published before the end of the year and widely reprinted. The opening poignantly evokes the countless dead lying in makeshift cemeteries, but it builds to a climactic call for comrades left behind to “take up our quarrel with the foe.” After the War, the poppy was adopted as a symbol of Remembrance. Two years after the poem was written, through a mutual friend, McRae sent a copy of the poem to John Philip Sousa, whose marches had made him world famous, requesting that he set it to music. Sousa received the poem in July 1917. He had just mailed the final corrected proofs of the song to his publisher G. Schirmer when he read in a newspaper of the death of McRae of cerebral meningitis while still serving in France. 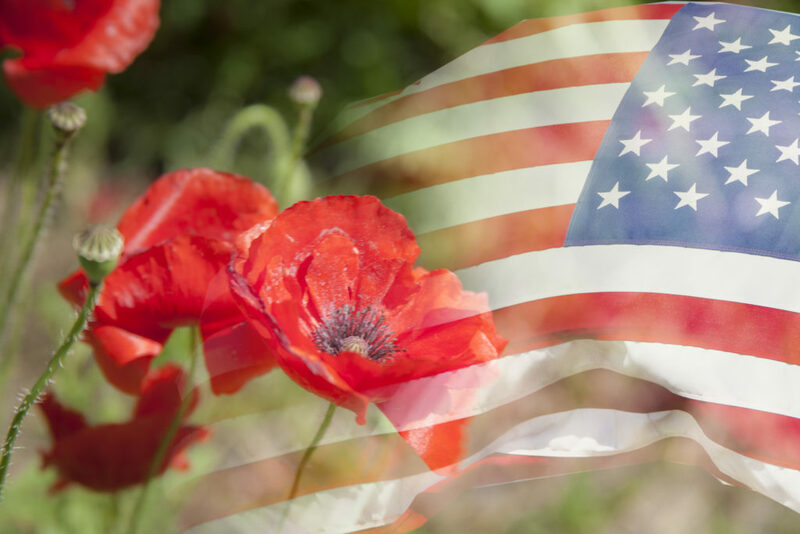 Wearing poppies started as a British tradition but has become an American form of showing remembrance and respect. The red poppy is a nationally recognized symbol of sacrifice worn by Americans since World War I to honor those who served and died for our country in all wars. It reminds Americans of the sacrifices made by our veterans while protecting our freedoms. Wear a poppy to honor those who have worn our nation’s uniform. The positioning of the poppy can also cause some confusion. Many say the poppy should be worn on one’s left to be close to the heart, as well as the side of military medals. Others say men should wear it on the left and women on the right, just like the Queen. The Royal British Legion, however, told BBC: “There is no right or wrong way to wear a poppy. It is a matter of personal choice whether an individual chooses to wear a poppy and also how they choose to wear it. The generally accepted way is to wear the poppy on the left side on the lapel over the heart. 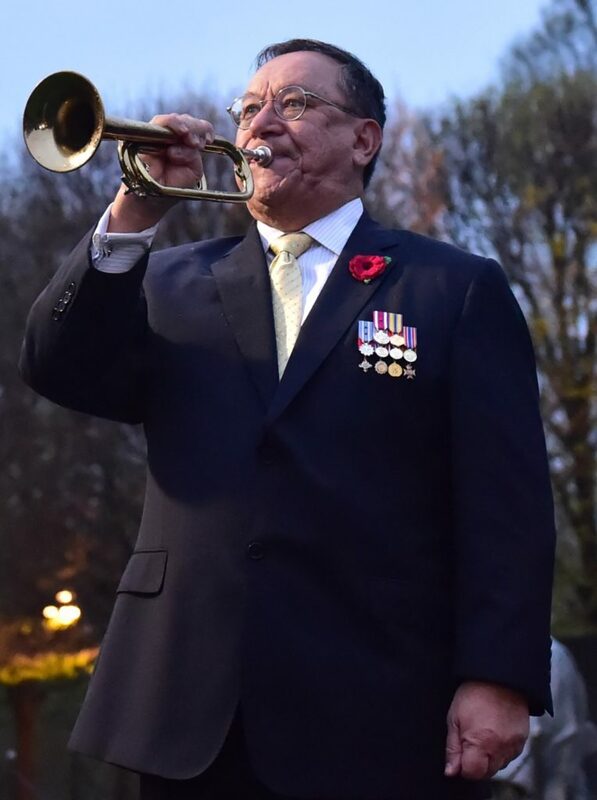 This entry was posted on Saturday, October 27th, 2018 at 7:00 pm	and is filed under General Interest, History of Taps, History of the Bugle. You can follow any responses to this entry through the RSS 2.0 feed. You can leave a response, or trackback from your own site.